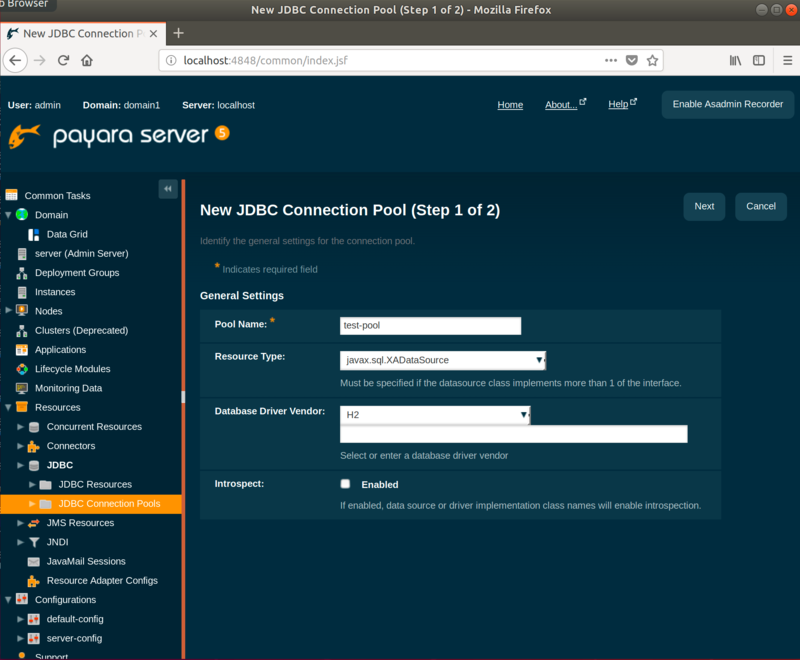 In this blog post, we take an introductory look at connection pools and how to configure them in Payara Server using best practices. A connection pool is a store of database connections that can be used and (most importantly) re-used to connect to a database. Why Are Connection Pools Needed? Now, if you have a web application with a single user you can simply create a database connection at the start of the user session and then close it at the end. However, this is a highly unlikely scenario! Now, imagine a more realistic scenario where your web application will be accessed by hundreds or thousands of users. If each user's session creates a database connection, firstly your users will experience a delay whilst that connection is set up and secondly the overall performance of your system will deteriorate. So, in answer to the question why are they needed - they improve both the performance and scalability of your system. How do Connection Pools Work? Rather than creating a new connection each time one is needed a pool of connections is created when your application server is started. These connections can then be used and re-used. When a new connection is required the pool is searched for an available connection. If one is available it is returned to the requester. If one is not available then the request is either queued or a new connection is established depending on how many connections are already in the pool and how the pool is configured. Once the connection is finished with, rather than closing it the connection is returned to the connection pool for use by the next requester. OK, that's the theory out of the way. So, how do they work in practice? If you are using different versions of any of the above then the results may differ. Now click Finish, accepting all other default values. Click on the connection pool name (test-pool). Click the Ping button at the top of the screen. You should see a message stating Ping Succeeded. Note how the colons have to be escaped here. This is needed since the unescaped ones are used to delimit multiple properties and their values. For instance --property user=root:password=test:port=3306. Also note that I'll be using "test-pool2" for the pool created via the command line. OK, so now we have created our connection pool I'm going to look at a few best practices regarding how to configure it. Note that both the web admin console and command line util too will create an entry like shown above in the domain.xml file. The connection pools created above are server managed, global pools. 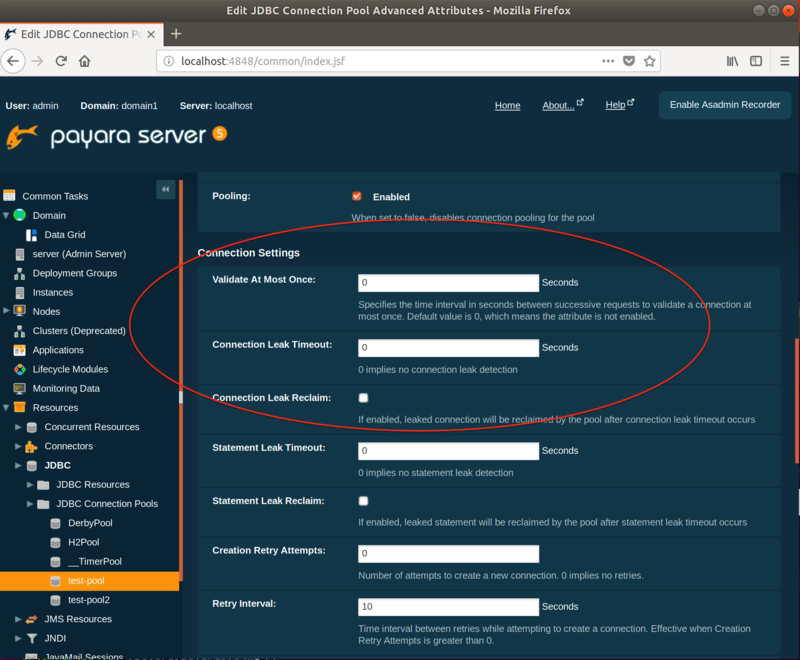 This means they are applicable for all applications deployed to Payara Server. Via Java EE annotations as well as deployment descriptors, we can create those per application as well. There's on difference though, and that's that via the Java EE alternative a "data source" ("jdbc-resource"), is created together with the connection pool. The maximum size should be set in accordance with the maximum number of client requests your system can process. If your application receives 100 requests and each of those requires a database connection then if your connection pool is anything less than 100 some of those requests will have to wait for a connection to either be created or become available. There is always a trade off with setting these values as the minimum value requires that those connections are maintained regardless of system load and the maximum value could potentially require a large number of concurrent database connections. These values will be different for everyone. There are no magic numbers so it's a case of understanding your application, what your expected load (both steady and worst case) will be, monitoring to see if this changes and setting values accordingly. As a general rule of thumb though, if you find yourself having to constantly increase the maximum value, say from 200 to 300, from 300 to 500 etc, then you may have to look at your software architecture. For instance, in a transaction processing system, saving each transaction independently to a database could perhaps be replaced with a system where multiple transactions are queued first, and then saved to a database in one go using a JDBC or JPA batch. Click on the connection pool name and under Pool Settings you will find Initial and Minimum Pool Size and Maximum Pool Size. Set these to your required sizes. 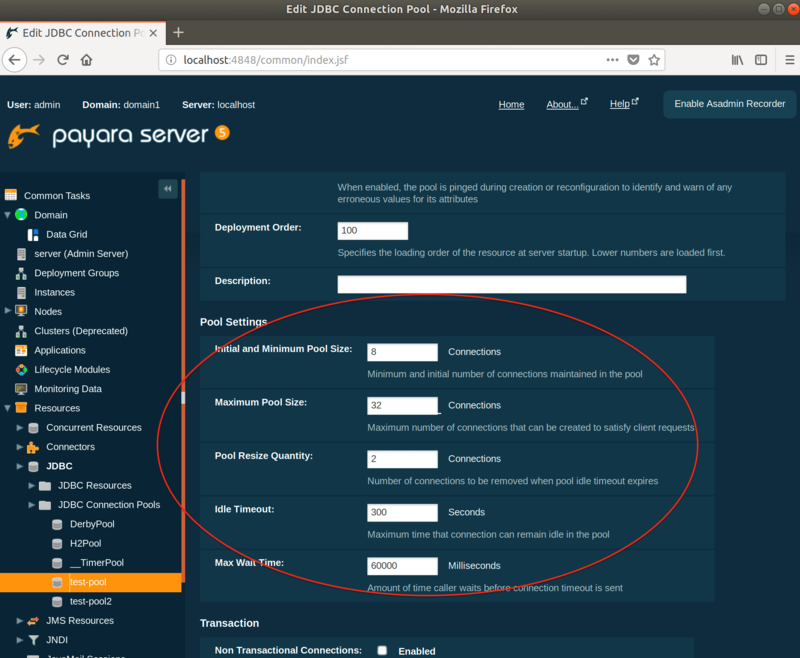 Note that Payara Server's steady-pool-size property translates to two standard properties here, while coincidentally max-pool-size has the exact same name in the standard descriptors. Connection validation ensures that connections aren't assigned to your application after the connection has already gone stale. Connection validation is always a trade-off between how sure you want to be that a connection is valid and the performance impact from validation. There will be a negative performance impact by having to return an invalid connection by your application and borrow a new one, so finding the right balance is key. Before using a connection from the pool a simple query is sent to test the connection. If their is an issue with the connection it is removed from the pool and another one used. The issue here is that if you have an issue such as the database being down and you have a large number of connections then each of those connections will be tested and removed. In order to avoid this you can set connection validation so that if a connection fails all connections are closed. From the same screen you can also set whether to close all connections on failure. Note that there are no standard properties corresponding to connection validation. 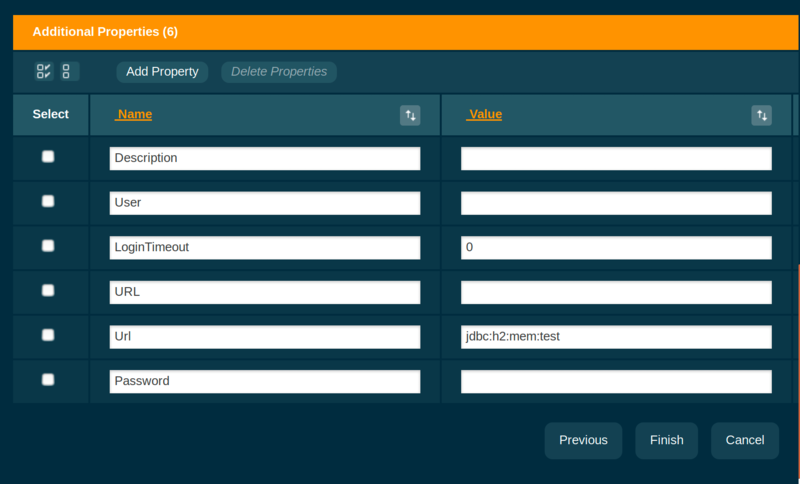 Payara Server supports setting these as vendor specific properties. These properties are normally mainly intended as data source properties. The Java EE / common annotations spec makes no clear distinction between properties intended for the data source and those intended for the connection pool. Payara Server makes this distinction by prefixing properties intended for the pool with "fish.payara.". 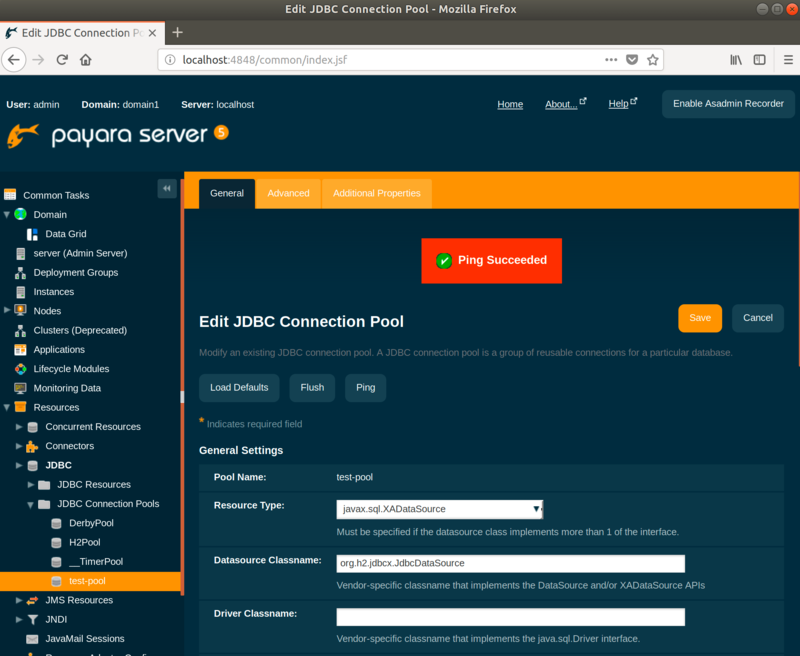 See https://docs.payara.fish/documentation/payara-server/advanced-jdbc/advanced-connection-pool-properties.html for more info. Statement and Connection Leak Detection allows you to set time-outs so that if Statements or Connections haven't been closed by an application they can be logged and/or closed. In testing I would recommend setting it so that leaks are simply logged but not closed. However, in production I would recommend that leaks are closed. If you have tested thoroughly enough then there shouldn't be any but if there are you don't want to leave them open. Monitoring software should be configured to alert on detected leaks and then further investigation can take place and fixes can be put in place. By default these values are set to 0 meaning detection is turned off. Set the Connection Leak Timeout and Statement Leak Timeout value. Once these values are set if connection or statement leaks are detected you will see messages similar to the ones below in the application log. Well, that's it for this blog. 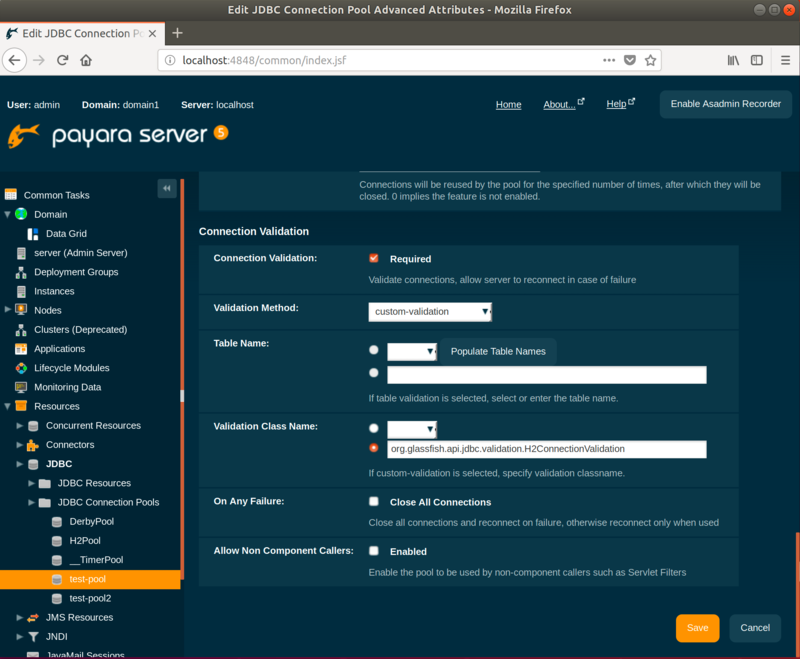 We've looked at a brief overview of Connection Pools, how to create and configure them in Payara Server along with a few best practice settings to consider. As with all server configuration settings you should always take a close look at your application's needs before making changes. You should always performance test and load test your application to ascertain the best settings, particularly before making changes in production. One size does not fit all! Once you have decided upon the optimal settings you should then monitor and re-evaluate regularly to ensure you are always running with the best settings.